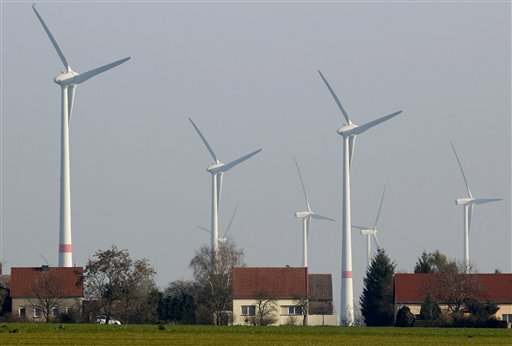 The German government has been caught erasing data that shows residents are exposed to levels of wind turbine infrasound dangerous to health. Not for the first time and not for the last time is a government complicit in causing wholesale harm to its citizens. No country went harder or faster than Germany when it came to the rollout of industrial wind. And no government has more to lose, as residents react to the contempt that’s been dished out to them on a daily basis, for nearly 20 years. The World Health Organization’s declaration that wind turbine noise is a serious health hazard, is a liability bombshell for developers and governments, alike. No longer can wind power outfits and those that make a living running propaganda for them claim that ‘there’s nothing to see here, move on.’ The wind industry’s victims – mocked and denigrated for years – have been vindicated. Now comes the vengeance. Litigation is already on foot in Victoria, with more claims to follow. Apparently alive to the threat of litigation – that will cost it hundreds of €millions – the German government is simply destroying the evidence. Evidence of the kind that will be used against it by thousands of rural residents seeking compensation for their wholly unnecessary pain and suffering and the loss of the use and enjoyment of their homes. A report on infrasound (low frequency sound below 20 Hz) by German public television ZDF here further reveals how infrasound from wind turbines causes widespread health issues, despite claims by “experts” that these illnesses are “in peoples’ heads” and not real. The dubious argument that “if you can’t hear it, then it can’t hurt you” is often used. It turns out that in the case of infrasound from wind turbines, this is not true at all. The ZDF in its report called “Infrasound, the unheard noise” begins by presenting a case in Coventry, England, where a tour guide suddenly developed a phobia of entering the cellar of a church and how her tourists thought they had seen ghosts. The sickly and scary feelings, it turns out, were not ghosts but effects of infrasound. While many things cause infrasound, most are very short term, lasting only a few minutes. However, for people living in the area of wind turbines, the sub-audible sound goes on for hours, or even days and weeks, without interruption and thus poses huge problems for people like Insa Bock (2:47), who together with her husband live 700 meters from “dozens of turbines” and suffer from health issues. Particularly troublesome, the ZDF reports, are the new, larger turbines which replace older, smaller turbines in what is called “repowering”. But when confronted with the health risk from infrasound, Germany’s Ministry of Environment (using totally irrelevant measurements) denied that there was a serious problem of any type (5:00) for residents nearby. However, the ZDF shows that correctly performed measurements and their evaluation show the contrary. Image cropped from ZDF, Infraschall – Unerhörter Lärm. The German BGR illustrates to ZDF (11:00) how Germany’s pro-wind Ministry of Environment “smoothed out” the infrasound signal rather than acknowledging its existence. Also the Ministry of Environment refused to come out to the Friesian area to perform new wind turbine noise measurements, claiming that the “wind direction and strength were not proper” (11:35). So an outside consultant was hired to conduct more measurements of the wind park, which showed “clear sound waves”. The local resident told ZDF that she was physically able to perceive the vibrations in her bedroom – the dog as well (13:50). The expert explained to the ZDF how he was able to measure a “a clear exposure” and “very strong vibrations” in the area of the house (14:25) and “very high levels of infrasound”. The ZDF concludes that the measurements by the Ministry of Environment ignore the health-damaging infrasound by smoothing them out, and so takes the position they don’t really exist (15:10). The ZDF report also interviewed Dr. Alec Salt of the Washington University, St Louis, a specialist for inner ear anatomy (16:15). Salt said that very low inaudible frequencies indeed have a profound effect on the human inner ear and signal pathways. The ZDF also reports on tests that subjected volunteers to infrasound in a laboratory at the University Clinic of Hamburg-Eppendorf (UKE) for a period of 4 weeks (18:05). 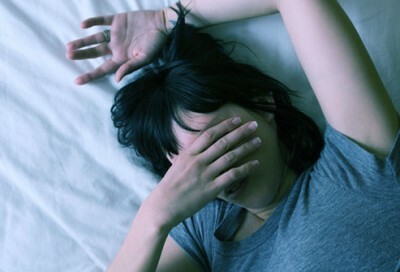 The question: Does infrasound have an impact on sleep and mental capabilities of people? Here the researchers found that infrasound has impacts on “parts of the brain involved in processing stress and conflicts”. What cannot be heard, but subconsciously sensed, may initiate a stress and fear reaction in people the scientists hypothesize. Confirmed by the US Army – 30 years ago! The effects of infrasound on humans has already long been confirmed by the U.S. Army, says John B. Alexander (21:00). He also says there’s information that the Soviets and Chinese experimented with infrasound as a weapon in the 1980s. Overall the military abandoned the idea of infrasound as a weapon because different people reacted differently to it. Just days ago, NTZ reported on this here. The ZDF also reports that Germany’s prestigious Robert-Koch-Institut hat bereits 2007 had found a potential health risk back in 2007. Overall the ZDF reports that experts estimate between ten and thrirty percent of the population sense symptoms from infrasound. Though the data are in, Germany’s Ministry of Environment and wind energy proponents refuse to believe it and ignore the cries from those who are being seriously injured by it every day. Germany’s wind energy risks turning into an industrial-scientific debacle that will have a huge health price to pay. Hello from Ontario Canada. Here is my public letter to the Ontario government. NOTE: Please confirm Receipt of this letter. On October 7, 2018 I received an alarming letter from a citizen in rural Ontario. The title was: “Cardiac instability caused by infrasound radiation from industrial wind turbines”. This letter was sent to Ontario government people, including yourself, with no response. I include an excerpt of the letter below with permission of the author. I am writing to request an urgent meeting with you, Premier Ford, and Energy Minister Rickford to discuss known and documented health harm from Industrial Wind Turbines. I have also posted documents, including the Oct 7th 2018 citizen letter, in the Comments section of the following articles. CMAJ. November 28, 2014. 34 Comments. In the past two weeks, four people in Ontario have offered to provide their medical investigation records which rule out typical causative factors for traumatic cardiac instability episodes which they have been experiencing in their homes. All four of these peoples’ homes have been surrounded by industrial wind turbines and in two of these cases, substations have been sited too close to their homes. This situation is an emergency as well as a provable human rights violation. It confirms the cumulative harm that Dr. Mariana Alves -Pereira has been studying for decades. She has recently presented her work in Slovenia to a group of professionals. In this presentation and also in her most recent interview in Finland, she speaks about LFN and infrasound radiation and the damage to the nervous system as well as the heart. In the interview in Finland she states that, knowing what she knows, she would not live within 20 km of a wind turbine. Can you imagine how rural residents in Ontario who did not consent to having their homes surrounded by wind turbines feel as their pleas for protection have not resulted in effective measures being taken by their government? The four people who are willing to have their relevant health investigations used, to show that they are now experiencing the cumulative harm from infrasound radiation, are all people who experienced harm and tried to report it to the Liberal government agents within the MOECC and the MOH. No timely or effective protection was achieved under their leadership and now these peoplesâ€™ lives are in peril because the turbines that are too close to their homes are still running as I type this letter. These are four people who have confided in me and are now willing to let you see their medical evidence. How many others are there in rural Ontario who are experiencing harm at various stages of the neurological and cardiac damage that Dr. Mariana Alves-Pereira says is irreversible. How many people, because of the lack of properly delivered information, still have not connected the dots between their symptoms and the turbines near their homes? With lives of innocent people being threatened in this way and cumulative harm occurring for all who live within 20 km of turbines- harm which cannot be reversed- your government must make this horrible reality a very high priority. The turbines that are close to or surrounding peoples’ homes need to be turned off now. With respect and gratitude for your willingness to make tough ethical decisions on behalf of the people of Ontario. Reblogged this on Property Rights Are Your Rights. No surprises there. Those of us who have lived in rural communities for generations ( and those who arrived last week) know ‘beyond reasonable doubt’ that when these people say they are effected then they are effected. Simon Chapman and those who followed him in respect to the ‘nocebo effect’ will go down in history as monsters just like Hitler and Stalin and various other characters in history. Unfortunately the suffering is not over for impacted rural residents but there’s no doubt whatsoever they will be legitimised and vindicated eventually even if they do not live to see it themselves.